The rare art of Plumasserie is the labor-intensive process of cutting, dyeing, and applying feathers by hand, typically on very expensive clothing and accessories. The tradition dates back to French Haute Couture houses from the 1800’s, and has very few practitioners today – it’s almost and extinct skill, although some luxury houses feather their products. Those that do keep Maxime Leroy going; he’s the master plumassier behind a revival of the craft with a contemporary twist. 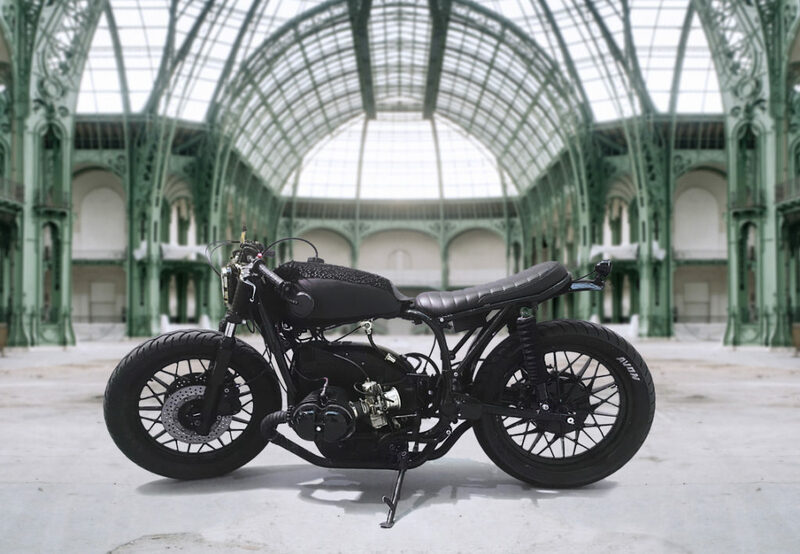 We caught up with Maxime Leroy at the Grand Palais in Paris, during the Révélations show, the International Biennial of Fine Craft and Contemporary Creation. 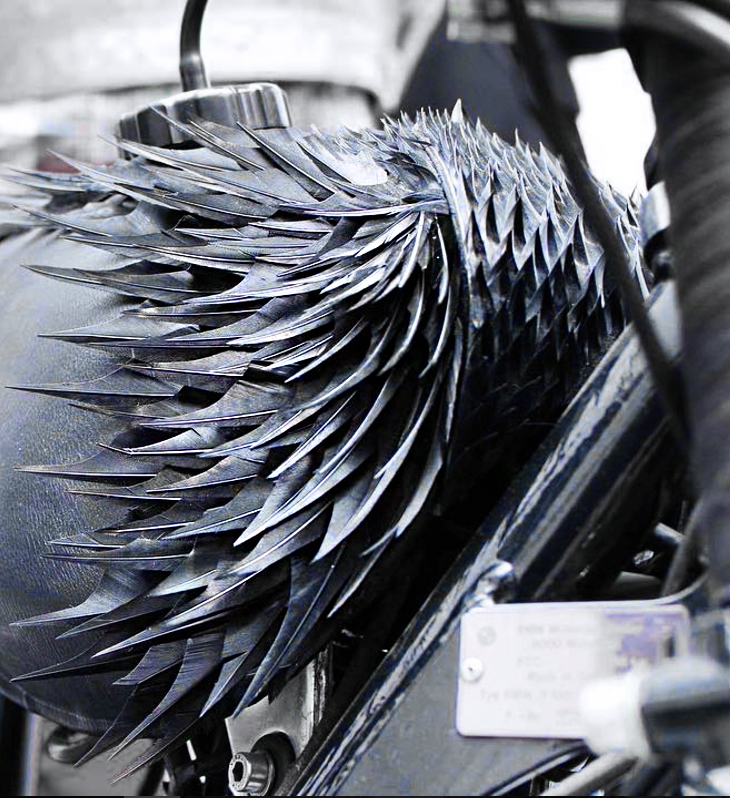 We were invited to see Leroys’ collaboration with Blitz Motorcycles of Paris on the ‘Black Angel’, an incredible helmet/bike combination of cut black feathering, hand-applied to leather, covering the helmet entirely (including laid-down quills for the Blitz ‘lightning bolt’ logo), and the top of the fuel tank. 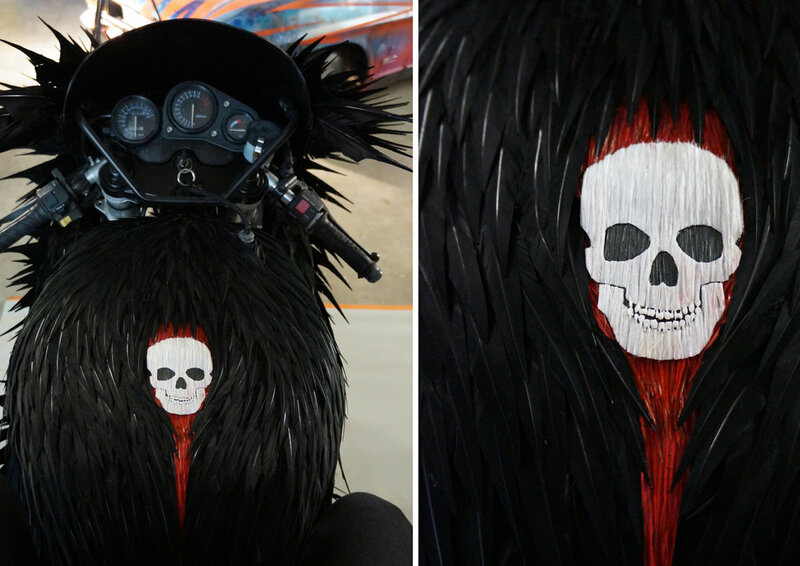 The mix of feathers on the fuel tank is almost vulgar, with hydraulic tubes, air vents, and fuel lines contrasting with the organic delicacy of the hand-cut and hand-dyed goose feathers. 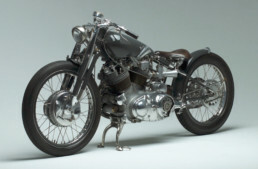 The fuel tank of the Blitz ‘Black Angel’ – almost vulgar in its contrast between the organic and mechanical. LeRoy founded his own luxury brand M.Marceau, as well as Sacco Baret, a collaboration of Jayma Sacco, Maxime Leroy and Paul Baret. All are exploring new venues for the old craft, and brands like Chanel, Givenchy, Jean Paul Gaultier and Louis Vuitton have featured their incredible featherwork. Leroy was recently recognized internationally as “one of the most inspirational and influential artisans” in Olivier Dupon’s book “Encore! The New Artisans”. He was also selected to create the centerpiece for an art installations at Paris’ Palais de Tokyo, for the exhibition ‘Double Je’. 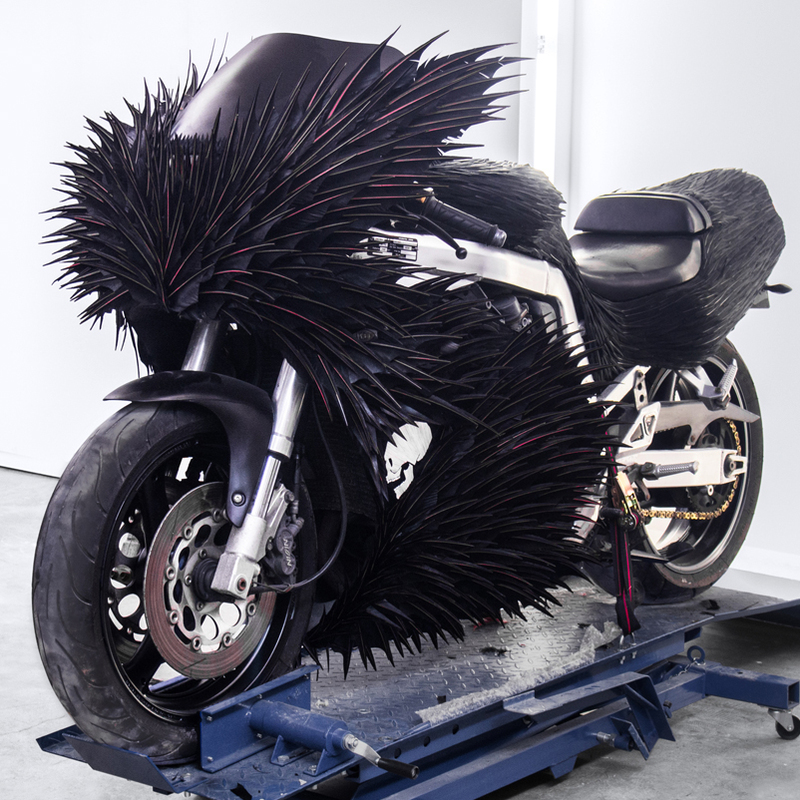 For ‘Double Je’, Leroy totally covered the bodywork of a Suzuki GSXR, that he named ‘Celine’. I was the heart of the exhibit, which was itself a large-scale installation of many artists’ work, themed around the crime-thriller novels of Franck Thilliez. 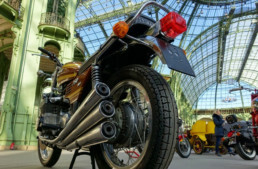 ‘Celine’ is perhaps the most haute-couture motorcycle ever built, and perhaps the most evil-looking! 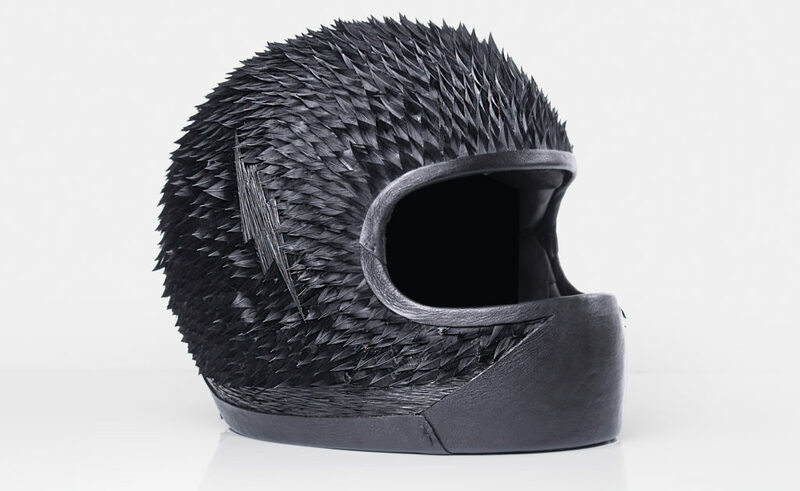 We can honestly say we’ve never seen a helmet like this, nor motorcycles like these! 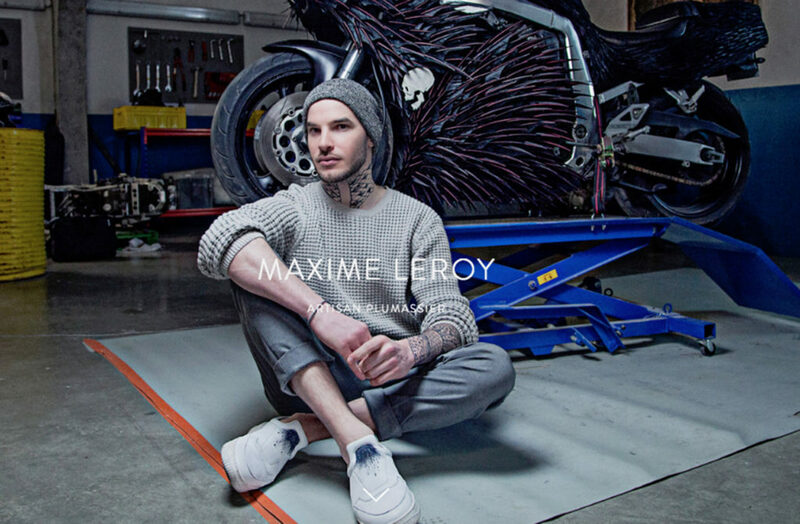 Follow the work of Maxime Leroy at his M.Marceau brand, and at Sacco Baret. 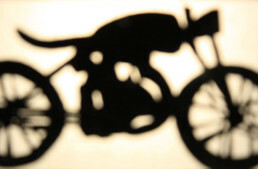 The helmet deserves scrutiny, as the detail is simply amazing. 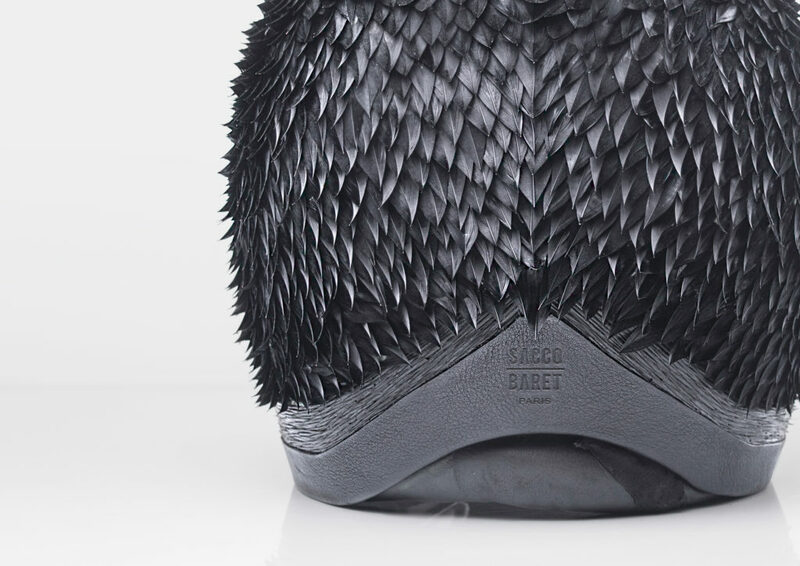 The tank top of ‘Celine’ – all made of feathers and quills! PS; There is a gentleman here in the US practicing plumasserie ( if memory serves me correctly VT ) creating exquisite bowties out of exotic feathers keeping the natural colors rather than dying etc that Orvis usually carries in their holiday season catalogues .